Alhaji Atiku Abubakar the presidential candidate of Peoples Democratic Party (PDP) has revealed when he will name his cabinet if possibly elected in 2019 as Nigeria’s Official President. Atiku made this know through his official Twitter page, while speaking he said that if elected in 2019 he and members of cabinet will drive Nigeria forward and make the country working again. “If Nigerians elect me as their President, I will NOT take 6 months before naming my cabinet. 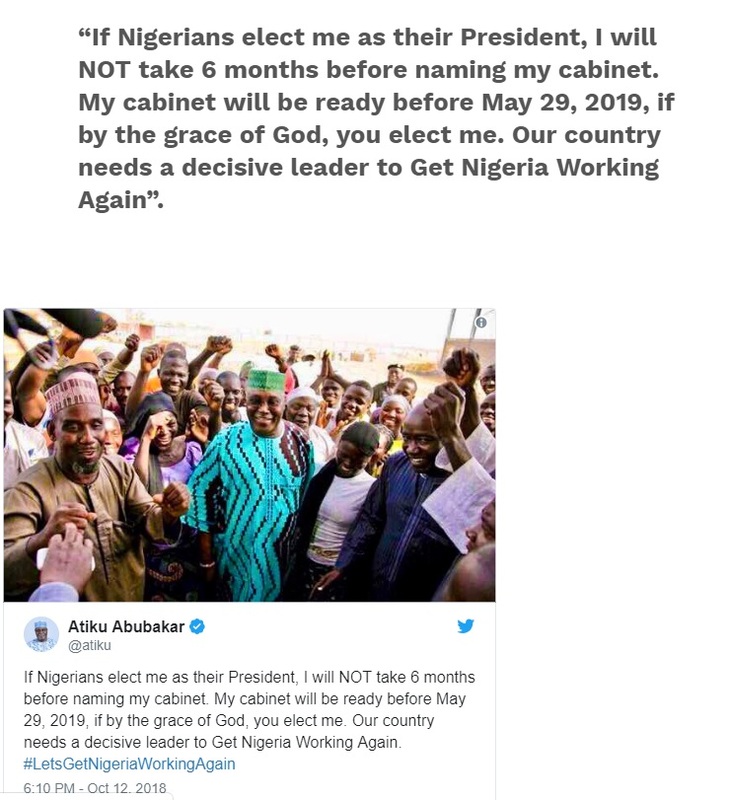 My cabinet will be ready before May 29, 2019, if by the grace of God, you elect me. Our country needs a decisive leader to Get Nigeria Working Again”. 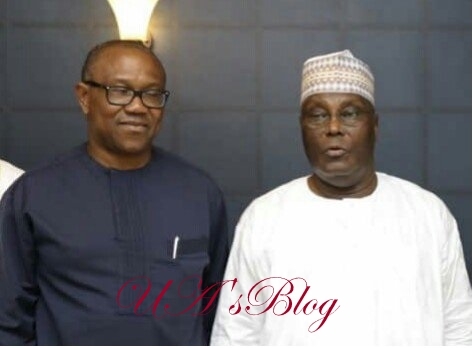 Few hour ago former Governor of Anambra State, Mr. Peter Obi, was pencilled down as the running mate of the Peoples Democratic Party presidential candidate in the February 14, 2019 election, Atiku Abubakar. Meanwhile, Senator Ben Murray-Bruce has congratulated Mr.Obi on his selection as Atiku’s running mate.